Bucks superstar Giannis Antetokounmpo brings many fans joy with thunderous dunks and passionate play. But it's what he did Wednesday that gave one young fan tears of joy. 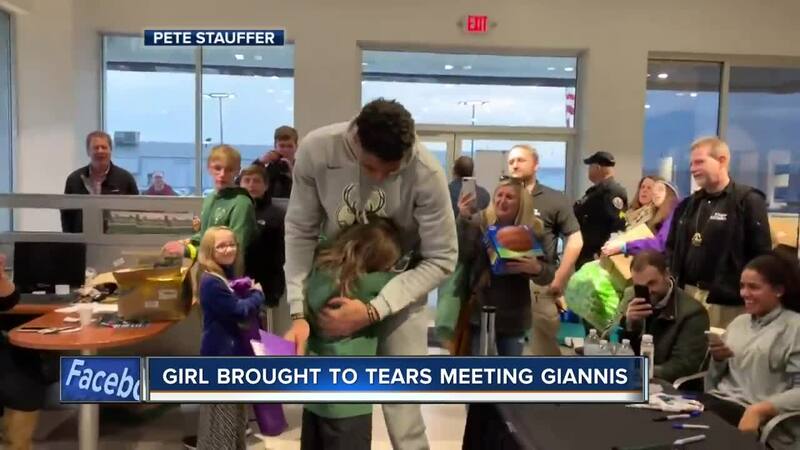 Giannis was signing autographs in Stoughton when a young girl named Lily brought her jersey to be signed by the MVP candidate. That's when things got emotional. Video courtesy Pete Stauffer. Bucks superstar Giannis Antetokounmpo brings many fans joy with thunderous dunks and passionate play. But it's what he did Wednesday that gave one young fan tears of joy. 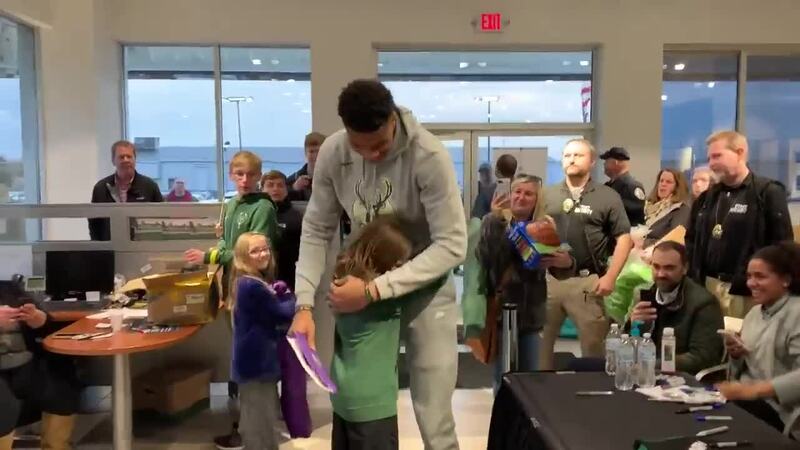 Giannis was signing autographs in Stoughton when a young girl named Lily brought her jersey to be signed by the MVP candidate. That's when things got emotional. Lily handed Giannis a folder full of her artwork. Giannis, visibly enthused by his new gift, walked around the other side of the table and gave her a big hug as tears streamed down Lily's face. "This is amazing. This is amazing. You did all this?" Giannis asked. Lily responded only with nods, as she was too overcome with emotion.